Add the lentils to 2 cups of boiling water and simmer for about 30 minutes, or until the lentils are soft and the water is absorbed. Make absolutely certain that the water is completely absorbed… this is key because if the lentils are too wet, the loaf will not set properly. While the lentils are cooking, sauté the onion and celery in a bit of oil until they begin to soften and brown, add the garlic and the soy sauce, then sauté it for a few more minutes. Let the lentils cool a bit, then stir them together with the remaining ingredients. 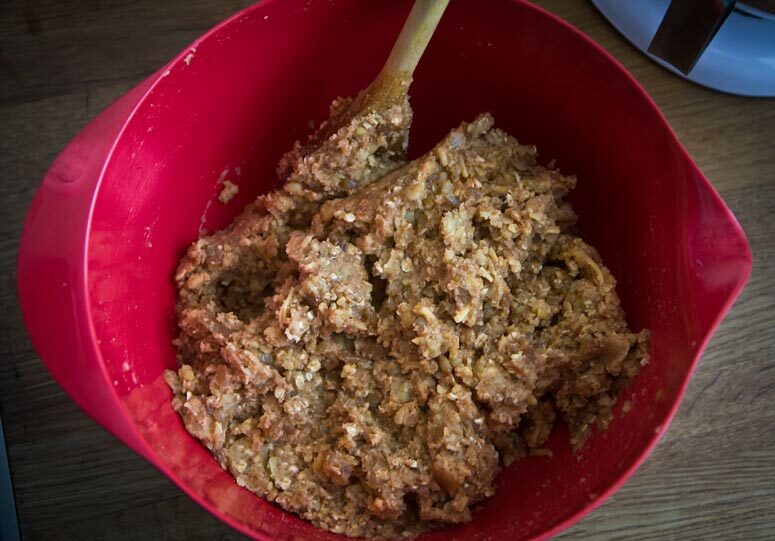 At this point, the mixture should be the consistency of… well, ground meat mixed with eggs, etc. It should be sticky, but not wet, slightly stiff, a bit wetter than cookie dough. Line a loaf pan with parchment (my pan is approximately 4.5 in. x 8 in. ), add the mixture, smooth it out with the back of a spoon, then whack it on the counter a few times to settle it in the pan. Bake it at 350 degrees for 30 minutes. 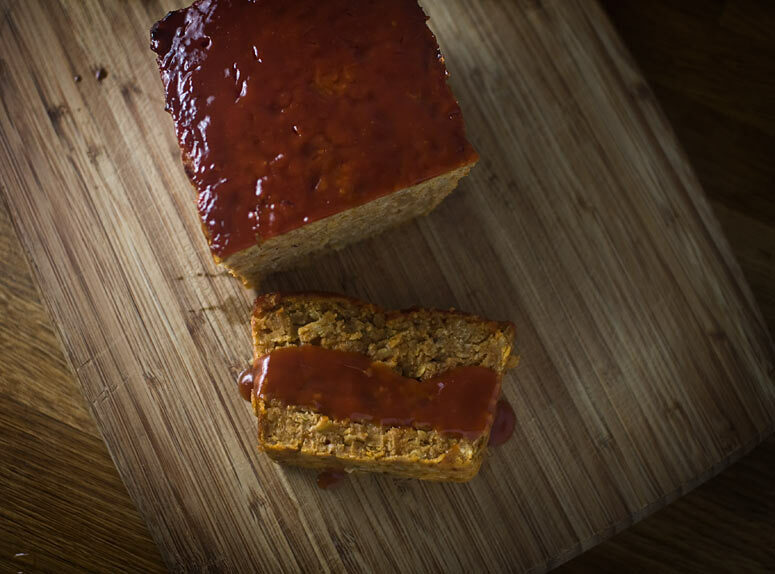 While the best lentil loaf recipe ever is in the oven, whisk together the ketchup, ACV, and brown sugar. Taste and adjust. Ketchup in Denmark tends to be sweeter and less acidic than in the US, so don’t take my proportions as gospel. After 30 minutes, pour a bit of the glaze on top of the loaf and bake it another 15 minutes, or until it seems firm and you can stick a knife in the middle and it comes out clean. Let it cool in the pan for 10 minutes or so, then turn it out onto a platter, slice it, and serve it with the remaining barbecue glaze. If I’m feeling lazy, I skip the barbecue glaze and serve it with HP Sauce, which displeases The Oik. However, a big batch of mashed potatoes usually brings me back into his good graces. I have little recollection of the 70s and my parents weren’t of the lentil eating persuasion, but over the years, I’ve tried many iterations of the much scorned hippie version of lentil loaf, and this one bears little resemblance. 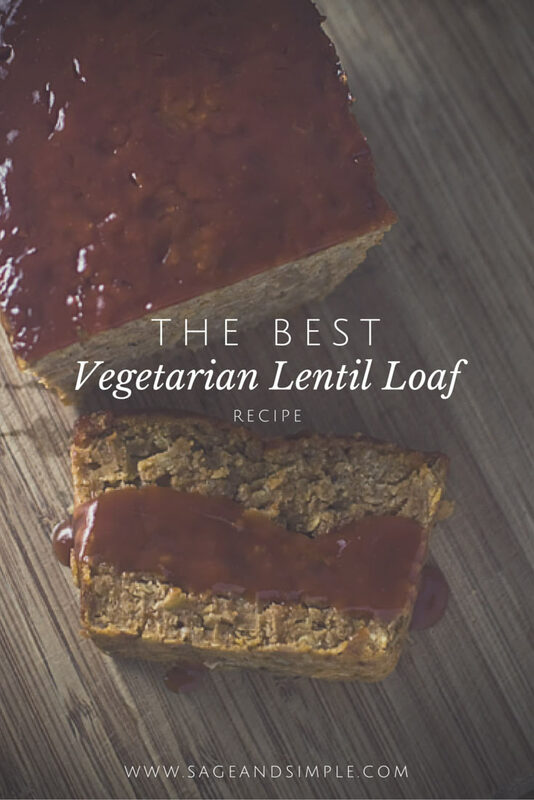 We think it’s the best vegetarian lentil loaf recipe, ever… and if you try it, I hope you do, too! This looks perfect to try for one of meatless Monday dinners! Thanks for sharing. I have heard a lot about adding lentils to regular recipes, even ice cream. This recipe sounds great! Thanks for sharing! I’ve never heard of that, but I make a lot of homemade ice cream, so I will have to investigate! This looks great and I think my husband would love it. We made a vegan loaf one time and it was pretty good. We used TVP. Your recipe looks much more managable! I am excited to give it a try with my gluten-free ingredients! Thanks for sharing! TVP is difficult to get ahold of here, so I ration it like crazy! Ok. Now this is not something I have ever tried, but it’s something we would both like. Thanks for giving us a simple recipe. Sounds perfect for Meatless Friday esp Good Friday. Thanks for sharing! Looks like a great option for a meatless meal. WE love meatloaf so I know that I could add this to our meal plan next week and have a happy full family! lol Thank you for sharing this!! I have never heard of lentil bread like this before!! I’m a vegetarian so this would be a great way to get more protein, I’ll have to try out this recipe. It looks wonderful! I have some lentils I the cupboard and will give this a try. I make veggie burgers with a lentils mixed in but. not a loaf. I used to live near a place that had delicious lentil burgers, but I’ve never had success making them. My go-to veggie burger is made with black beans, almonds, sunflower seeds, and oats. I’d love to find a good lentil burger recipe! 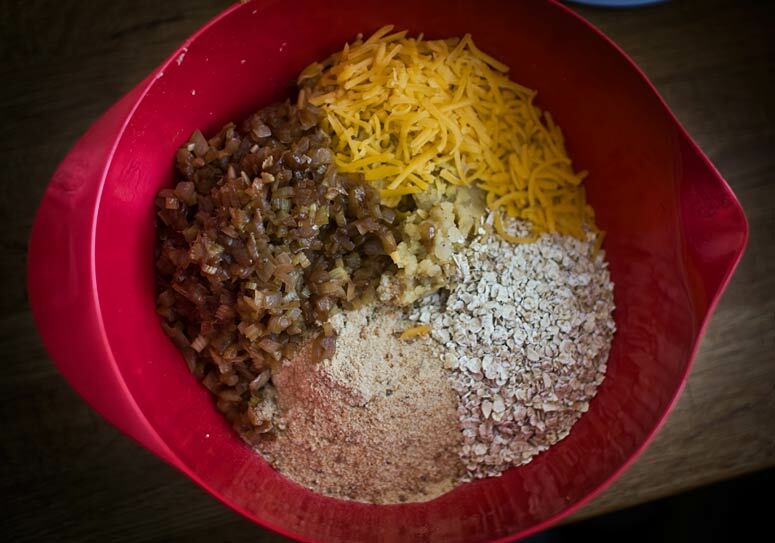 I’ve been looking for a good lentil loaf recipe for a while and I’ll have to try this one! I’m a long-time reader, first-time commenter. 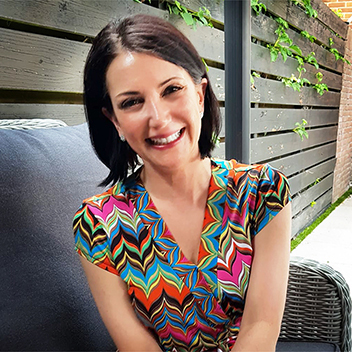 I love your blog and also happen to be an American expat girl with a Brit boy (though living in Germany), so I can really relate to a lot of it! I have green lentils, would that work too? The texture of green lentils is completely different from red lentils. I don’t think the loaf would hold together well with green lentils.